How Long Does it Take to Become an HVAC Technician in Virginia? HVAC technicians are an important part of new construction and building maintenance crews. Their work helps homeowners stay comfortable, research facilities preserve delicate samples, and medical rooms stay sanitary. As the construction industry continues to see growth, the need for HVAC technicians rises too. According to the Bureau of Labor Statistics, job openings for heating, air conditioning, and refrigeration mechanics and installers will rise by 15% in the next few years. Those who want to take full advantage of the trend should start training now for their new career. How long does it take to train as an HVAC technician in a traditional training program, through on-the-job training, and via an accelerated degree program? 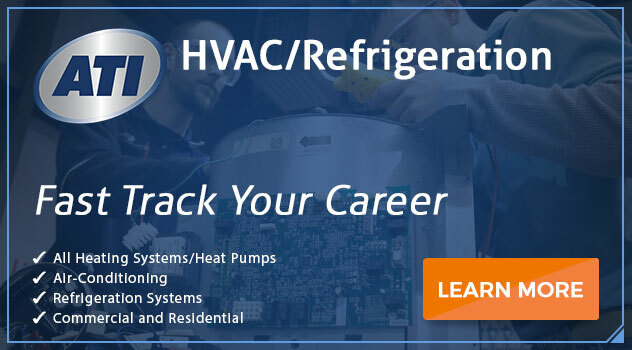 What are the benefits of choosing an accelerated degree program to launch your HVAC career? In addition to these job-specific skills, those pursuing a traditional degree must also fulfill general education requirements. With math, history, and language requirements, traditional HVAC degrees can take 2 years for full-time students to complete. Those who can only attend classes part-time have to wait even longer to start their new careers. Many employers offer apprenticeship programs or other on-the-job training options for inexperienced hires. This allows hiring managers to fill positions quickly without adding too much stress to their payroll. Being hired as an apprentice does allow job seekers to learn their trade while earning money. However, there are some important disadvantages to this training method. Companies will only train you to do the tasks they need. If you decide to explore your career options with other companies, you will have to start the learning process from the beginning. Apprentices are often paid a very low wage. It can take months to gain the experience necessary to move up the pay scale. Employee training programs can lack structure, written resources, and clear guidelines. This can leave trainees confused, frustrated, and unready to take on the challenges of the job. On-the-job training sessions vary greatly. However, most companies require at least a year’s service before workers can move beyond apprentice status. Like traditional colleges, accelerated learning programs are based on high academic standards. However, these schools use different tactics to disseminate necessary information more quickly. Students are still provided with the same technical, scientific, and procedural knowledge foundation that they would receive via a 2-year college degree program. However, accelerated programs use condensed material formats, specialized learning techniques, and hands-on teaching that allow students to grasp the finer points of the presented material more quickly. Students who choose accelerated learning programs to launch their HVAC careers could experience these important perks. More career options. When compared with on-the-job training, students who graduate from accelerated programs might have more options for their first position. They could also earn more in entry-level positions than those without a degree. Faster start. Already have a degree? Use earned credits to shorten your accelerated course of study even further and start earning top dollar for your in-demand skills. Find jobs faster. Your degree validates your skills and knowledge. Employers are generally more willing to hire those without experience if they know the candidate possesses real knowledge of the work they are expected to perform. The Associate in Occupational Science in HVAC Technology with Service Management could unlock your future as an HVAC technician. 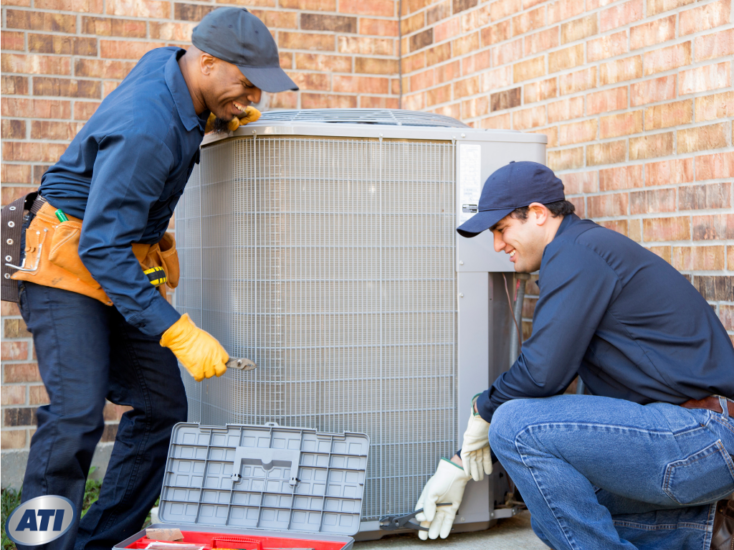 ATI’s accelerated program teaches the basics of installing and repairing HVAC systems. You also learn how to manage departments and work with customers more effectively. Connect with ATI today to learn more about this exciting program!